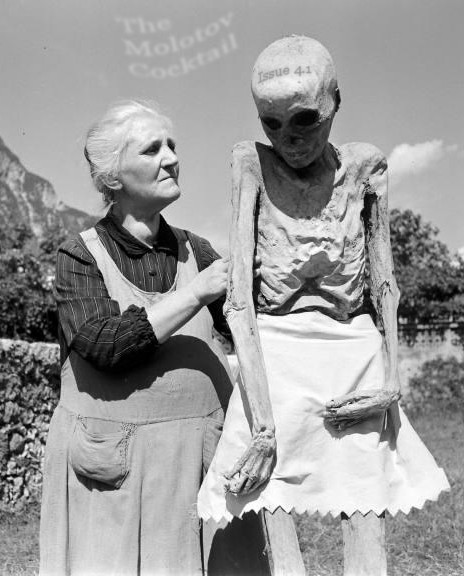 You know that feeling you get when the paper mache finally dries on the human skeleton you’ve dug up, and at long last you get to erect your new friend in the turnip patch out back to ward off the crows? That’s how excited we are about starting Volume 4. This issue features oddities and marvels by Mike Joyce, Sarah Kobrinsky, and Miguel Lasala. We’ve got violence with a heart, correspondence with the dead, and Alec Baldwin’s biggest fan.